Everyone hates having a dead battery on their phone, and with the more apps and things we can do on our smartphones, their Lithium-Ion batteries are having a hard time keeping up. 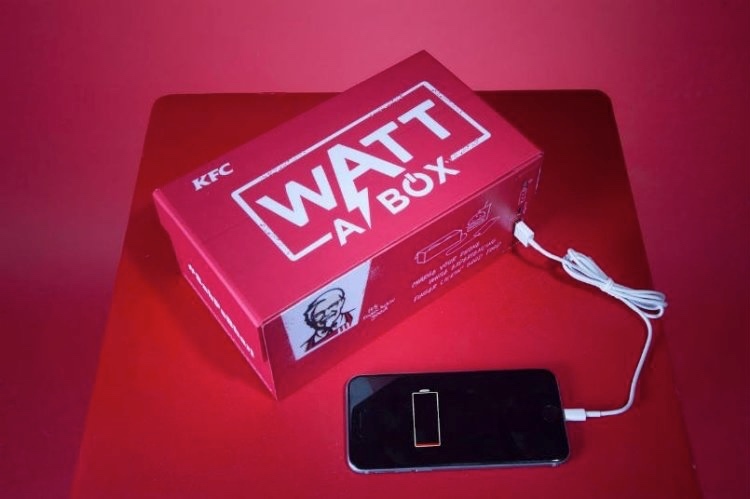 Now KFC is introducing the Watt A Box, a new meal that will “not only fill you up but also your smartphone”. The five-in-one meal includes a 6,100mAh powerbank and USB cables for charging. But before you rush out for a bucket of the Colonel, the offer is currently only available to customers in India for now.